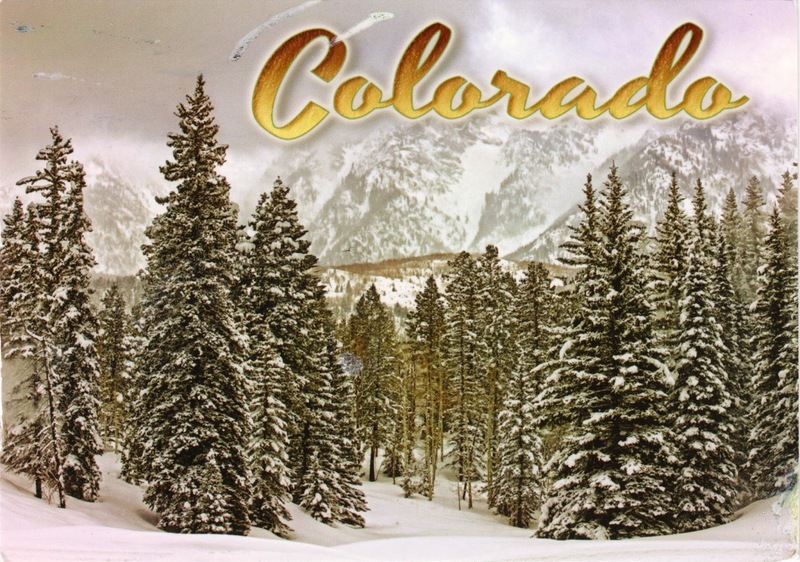 Postcard US-2578514 from Denver, Colorado shows a typical winter scene there. Winters can range from mild to occasional bitter cold, with common snowfalls, averaging 53.5 inches or 136 cm for 1981−2010. Temperature can get as high as 50°F or 10°C at day and as low as 0°F or −18°C at night. During the first 9 days from January 1 to January 9 in 2014, the highest temperature was 61°F or 16°C and the lowest was -4°F or -20°C with a total precipitation of 0.16 in. or 0.4 cm.